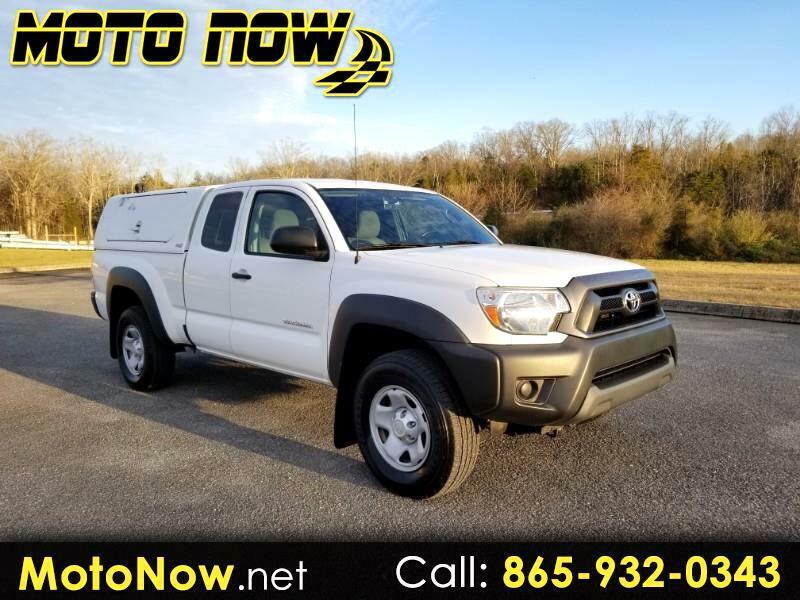 **** AT OUR SEVIERVILLE LOCATION **** The Toyota Tacoma is the most popular compact pickup in the U.S. market and has been since 2005. Or call it a mid-size, as the Tacoma and its competition are hardly compact anymore; it's still Number One. Along the way the Tacoma has collected its share of awards. Moreover, New Car Test Drive considers the Toyota Tacoma the best pickup in its class and the best for rugged terrain, durability and reliability. Tacoma offers a comfortable cab, a refined ride, and quality construction. Its on-road handing is responsive; its off-road capability is proven. The Tacoma Double Cab delivers rear-seat comfort for two additional passengers with enough room to rival a small sedan. Properly equipped Tacoma V6 models can to tow up to 6,500 pounds. Tacoma not only owns the segment but practically is the segment. While Toyota sells more than 100,000 Tacomas a year, many manufacturers have abandoned the small pickup business in America. Nissan Frontier remains and all-new Chevrolet Colorado and GMC Canyon models have been introduced, but Ford Ranger and Dodge Dakota have exited the stage. The Honda Ridgeline, a much more expensive vehicle, offers carlike handling, strong performance and good fuel economy, but it doesn't offer the off-road capability or toughness of the Tacoma. For 2014, the Tacoma adds Toyota's Entune as standard equipment on all four available audio systems. Entune is a media-savvy technology that links with your smart phone and allows you to access its apps through the Tacoma's audio controls. Accordingly, all Tacoma audio systems now come with a 6.1-inch touch screen, where, incidentally, the view from the optional backup camera is now also displayed, rather than in the rear-view mirror as before. Also new for 2014 is the SR Package, which lends a sporty, monochrome look with color-keyed overfenders, door handles, bumpers, grille surround and mirrors; plus smoked headlight lenses and black-finish 16-inch Baja wheels. Or choose the top-of-the-line Limited Package, featuring 18-inch chrome-clad alloy wheels, chrome grille trim, chrome rear bumper, SofTex-trimmed front sport seats with heat, metallic tone instrument panel trim, leather-trimmed steering wheel with audio controls, dual sun visors with mirrors and extenders, and an auto-dimming rear-view mirror with outside temperature gauge and HomeLink universal transceiver. The 2014 Toyota Tacoma comes in a wide range of configurations to meet a wide range of needs, ranging from basic work truck with four-cylinder engine and 2WD to a loaded V6 4WD Double Cab Long Bed. The base Tacoma excels at durability and reliability and is among the few regular-cab pickups still available. All Tacomas come with air conditioning. Audio systems begin with six-speaker AM/FM/CD display audio (four speakers on Regular Cab) with USB Port, auxiliary input, Bluetooth phone connectivity and now Entune; and range all the way up to a premium JBL GreenEdge system with navigation, Entune, and App Suite. Also standard on all models is Toyota's Star Safety System, which includes anti-lock brakes (ABS), Electronic Brake-force Distribution (EBD), Brake Assist, Vehicle Stability Control (VSC) and Traction Control (TRAC).